A trio of hospitals teamed up with insurer Harvard Pilgrim Health Care to establish a new company that will enable customers to analyze clinical and financial data. 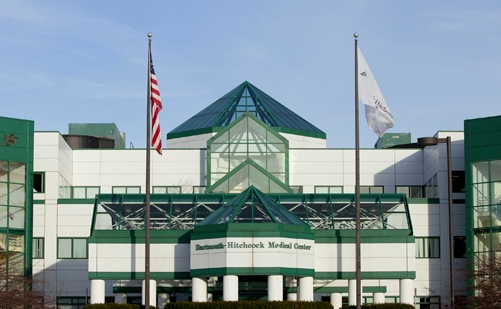 Dartmouth-Hitchcock, Elliot Health System and Frisbie Memorial Hospital are joining with Harvard Pilgrim Health Care to create a new analytics company to manage the clinical and financial data across the organization. The new company, named Benevera Health, is the latest in the rising use of data as a tool for population health management and lowering costs. Last month, the Blue Cross Blue Shield Association said it planned to create a huge database of healthcare claims to spot trends that could be used to control costs. All 36 independent Blue Cross and Blue Shield companies made a commitment to contribute information. On the care delivery side, clinicians can use the date in proactive care intervention for a population health base of 80,000 Harvard Pilgrim insured members in the state. An estimated 40 healthcare professionals will be hired to work as patient care advocates at Benevera, Harvard Pilgrim said. Benevera Health will be jointly owned by the health insurer and the three hospitals. The company will be led by Corbin Petro, the current president of ElevateHealth, a precursor to Benevera Health that launched in 2013 as a partnership among Harvard Pilgrim, Dartmouth-Hitchcock and Elliot Health System. Petro is the former chief operating officer at MassHealth, Massachusetts' Office of Medicaid. Benevera Health is not an insurance company. It is being billed as a population health improvement company. However, the health system partners will have a voice in the design of Harvard Pilgrim's insurance products and its strategy in New Hampshire. Additionally, there are plans to support all self-insured members. All the partners will make significant investments in technology systems, analytics and personnel, Harvard Pilgrim said. "The goal is to vastly improve patient care in New Hampshire by injecting personnel and new technology that will provide doctors and other clinicians with the information they need to help their patients make the best choices about their healthcare," Harvard Pilgrim CEO Eric Schultz said in a statement. Twitter: @SusanJMorse. This article originally appeared on Healthcare IT News sister site Healthcare Finance.